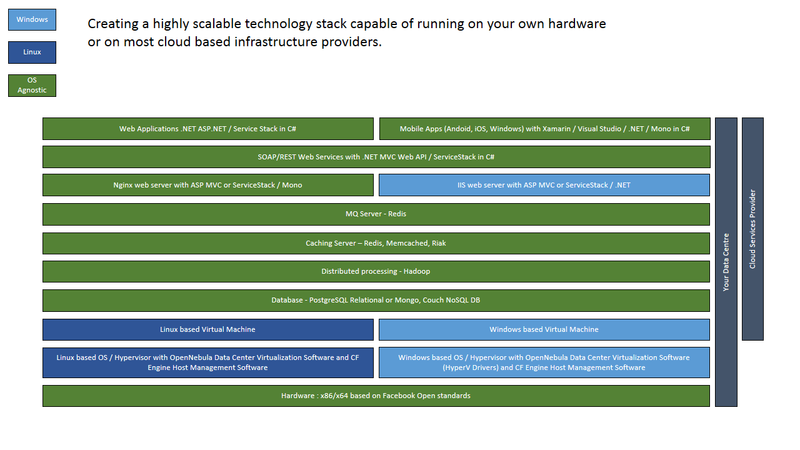 I created this proposed architectural diagram as a starting point to developing a highly scalable and flexible technology stack that can be run on your own hardware or on cloud based infrastructure providers. All coding for application built for this stack is done in C#, from mobile apps running on 3 different platforms to the web apps / web services. This still needs a lot more research but I would like to get some feedback on how well this stack would forefill the requirements of needing to be highly scalable and where applications developed to run on it can be written in a single language, namely C#. References to the various technologies are shown below. Recently I needed to decrypt a DotNetNuke password for a website I manage. After looking around the internet and using bits and pieces of code and tips I wrote the following code which allows one to decrypt a DotNetNuke password, in fact it will work for any web site using the ASP Membership framework configured for 3DES encryption. Note that this was written fairly quickly so it may not follow the best coding practises. /// Summary description for HexEncoding. /// to create one byte. First two hexadecimal characters become first byte in returned array. /// Non-hexadecimal characters are ignored.